It is probably easier to believe that you have visited the moon than you have not tasted a lemon. It is a taste that is universal. 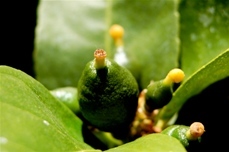 This fruit (Citrus × Limon) is a hybrid from cultivated wild plants. It's the name for the reproductive tissue surrounding the seed of the angiosperm lemon tree. This popular fruit is used abundantly for culinary and non-culinary uses throughout the world. 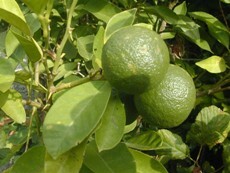 It is primarily used for its juice, though the pulp and rind (zest) are also utilized for cooking and baking. 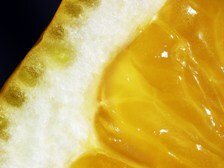 The juice is about 5% acid and has a pH of 2 to 3, which gives lemons a tart taste. This makes lemon juice an inexpensive, readily available acid for use in educational science experiments. In 1747, James Lind's experiments were the first to test if seamen suffering from scurvy conditions would improve by adding vitamin C to their diets in the form of lemon juice. The earliest mention of the fruit in literature dates back to a tenth century Arabic treatise on farming. Some say it was probably first grown in Assam, India and was used as an ornamental plant in the early Islamic gardens. Lemonade may have originated in medieval Egypt. The name was borrowed by Italians and the Old French from Arabic limun. Pickled lemons are a Moroccan Jewish delicacy. They are used regularly to make lemonade and as a garnish for drinks. Iced tea, soft drinks, and water are often served with a wedge or slice placed in the glass or on the rim. The average amount of juice each fruit contains is approximately 3 tablespoons. Allowing them to come to room temperature before squeezing (or heating briefly in a microwave) makes the juice easier to extract. However, if they are left unrefrigerated for long periods of time are susceptible to mold. Fish are often marinated in its juice to neutralize the fishy odor. The acid neutralizes the amines in fish by converting them into nonvolatile ammonium salts. The juice, alone or in combination with other ingredients, is also used to marinate meat before cooking. The acid provided by the juice partially hydrolyzes the tough collagen fibers in the meat, thereby tenderizing it. 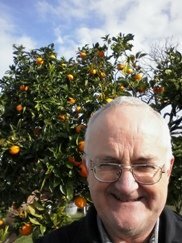 Another common use for them is alone or in combination with oranges to make marmalade. 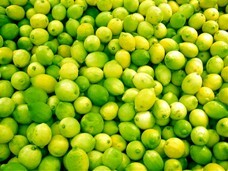 The grated rind of the fruit, called lemon zest, is used to add flavor to baked goods, puddings, rice, and other dishes. Spicy pickled lemons are a Moroccan Jewish delicacy. A liquor called limoncello is made from them. When the juice is sprinkled on certain foods that tend to oxidize and turn brown after being sliced, such as apples, bananas, and avocados, it acts as a short-term preservative. 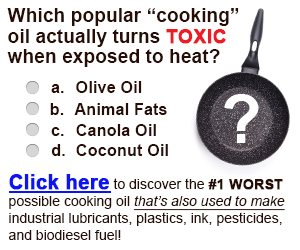 Several other plants have a similar taste to them. For many years, the Australian bush called Lemon myrtle has been a popular alternative to lemons. The crushed and dried leaves don’t contain any citric acid, but produce edible essential oils that have a strong, sweet lemon taste. Lemonade has always been and will probably always be one of the most common summertime beverages used to quench thirst. They are used to make salad dressings, to season and clean fish, to marinate meats, to add zest to rice, and made into marmalade. In addition, they are still placed on the rim or in glasses of iced tea, soft drinks, and water. Nowadays, they are even squeezed over onions to lessen the aroma that causes one’s eyes to water when cutting onions. Another common use for the fruit involves a scientific experiment performed in many schools. The Lemon battery is a popular experiment where an electrode is attached to a lemon and used as a power supply for light. The electricity generated from a lemon in this manner can also be used power a small motor. 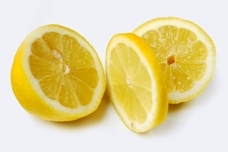 Lemons contain high amounts of vitamin C, potassium, iron, and calcium. 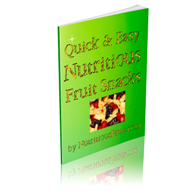 They also contain phosphorus, magnesium, copper, selenium, manganese, zinc, and dietary fiber. The high vitamin C content of the fruit has been touted in alternative medicine as a tonic for the digestive system, immune system, and skin ailments. There is a belief in Ayurvedic medicine that a cup of hot water and lemon juice tones and purifies the liver. A Japanese study, that analyzed their use for aromatherapy, concluded that the essential oils from lemons in vapor form can reduce stress in mice (5). Studies have also shown that lemons contain flavonoids such as limonins, which have antioxidant and anticarcinogenic properties (3). These compounds may be able to deter cell growth in cancers. They have been shown to preserve and deodorize meat (2), and are also an excellent source of vitamin C, which makes them a great supplement for individuals who lack sufficient levels of vitamin C (2). Including them in your diet will greatly benefit the body by promoting more efficient absorption of nutrients like iron (1). 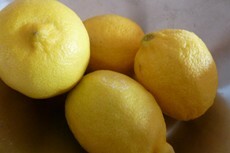 Today the lemon is used in many aromatherapy treatments to refresh and rejuvenate the skin. It is believed in some parts of Asia to have refreshing effects on the skin and is often used in facial masks. 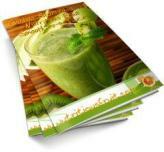 Applying the juice to facial blemishes is also a popular form of treating acne (4). It is even used to lighten the skin when applied topically because the acid it contains inhibits melanin production. Whether or not lemon juice is really effective as far as lightening the skin, however, is a subject of debate. On a different note, lemon juice applied to the hair is a natural hair high-lighter. Finally, the D-limonene in lemon oil is used as a non-toxic insecticide for various crops (5). Sun J, Chu YF, Wu X, Liu RH. (2002) Antioxidant and antiproliferative activities of common fruits. Journal of Agricultural and Food Chemistry, 50(25): 7449-7454.